There are numerous studies that attest to the stress-relieving benefits of pets. In one analysis researchers evaluated the heart health of 240 couples, half of whom owned a pet. Those couples with pets had significantly lower heart rates and blood pressure levels when exposed to stressors than the couples who did not have pets. In fact, the pets worked even better at buffering stress than the spouses did. I have to admit, I didn't see this coming. I do think, however, that this is more about dogs than cats. I can't imagine a cat that didn't raise tension/blood pressure. 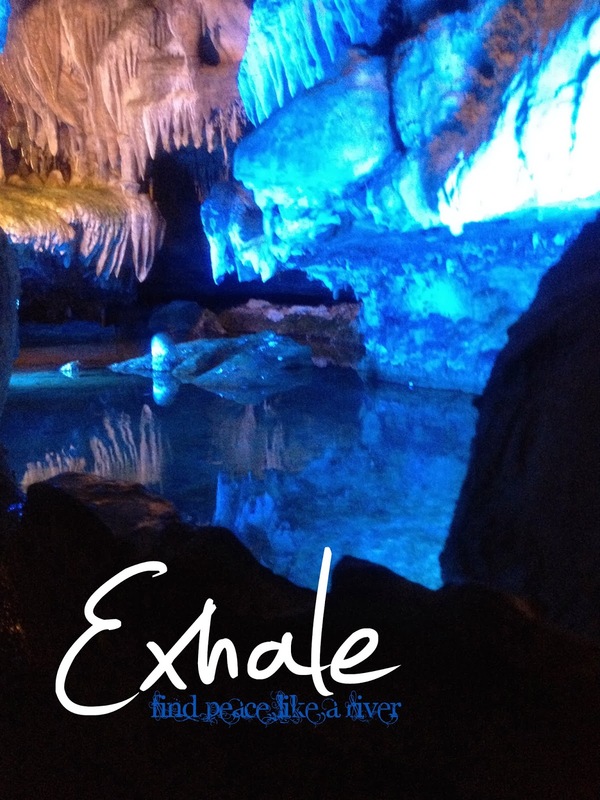 Exhaling is an important part of breathing. It's pretty necessary to expel air from your lungs before you inhale oxygen. Breathing (exhale/inhale) is one of life's rhythms that is not often considered, but is crucially necessary. I've been thinking about the rhythms of life and how we might apply the same principles to our spiritual life. Just as exhaling and inhaling is necessary to sustain life, I wonder if we might not better sustain our own days if we took the time to exhale every night and inhale every morning. 1. Breath out the deadly toxins. Every day we are confronted with the reality of sin. Whether it be our own mistakes, the hurt of relationships, persecution by enemies, or just the consequences of a fallen world; by the time we close our day, our lives are full of deadly toxins. We need to exhale by breathing those out to our Father. Don't take your pain out on your wife or children or friends. Don't bottle it up inside. Take it to God. You can trust that His shoulders are big enough to carry your load for you. 2. Breathe out a sigh of relief. God has brought you through another day. Whether it was a great one or just ok, God has carried you and sustained you through it. Thank him for that. Be relieved that the sun also rises, and rest well knowing if He carried you through today, He will carry you through tomorrow. Did you know that when you laugh you are exhaling? Breathing out joyfully is one of life's greatest experiences. Before you nod off to sleep, let your final thoughts be thanksgiving for the many blessings God has given you. As you close your eyes on another day, search your mind to remember the many places where God intervened on your behalf (sometimes we don't realize it at the time and it isn't until later reflection that we see what He has done for us). In the morning, you can inhale. But I'll say more about that later. One thing I would like to do better is to end my days being thankful. So tonight, I want to give thanks for the heart of my brothers and sisters at Calvary. It is a blessing to be able to witness so many of my friends who are truly developing the heart of Jesus. Over the past few years we have seen many wealthy and "important" people walk away from our church, but God has graciously sent people to replace them who may not be blessed financially, but who exhibit a rich love in their relationships with each other and a deep compassion for the world around them. After all, when he saw the widow give her two mites at the temple, Jesus reminded his followers that it was not the size of the offering that mattered, but rather it is the heart of the giver. Over the past few days I have a great opportunity to repeatedly see people exhibiting the heart of a joyful giver. Today, we had people coming to our building all day (as late as 8pm tonight) to pick up gifts for delivery to children as part of project angel tree. Someone dropped off a coat today because they wanted to make a contribution to our teen's local warming project (which they are doing for the second year in a row). I'm privileged to be part of a LIFEgroup which adopts several families every year to provide clothes, gifts, and food for the holidays. I was approached yesterday after first service by a lady who desired information about getting involved in our monthly supper house ministry. A recent new attenders at our church has been purchasing books for radio bible class and making them available for free. People are taking them all each week! I can't remember the last Sunday I've been at Calvary when so many people have expressed love and gratitude to me as did this week. Our church's children modeled intergenerational ministry as they spent their Sunday School hour having a bingo party with our Keenagers. I was approached this weekend by two different people who have a heart for connecting people and want to launch new LIFEgroups. To cap it off, on a day when our church united, despite a concerted effort to divide the congregation, to approve next year's budget; our people gave one of the largest offings of the year* (over $10,000 more than our average giving)! I could go on. If you want to see more, check out our facebook page to see the rich love being shared there on a regular basis! I am truly thankful to be part of a church full of people with such big hearts! *this is especially amazing because the second Sunday of the month is almost always one of our lowest offerings of the month. ‎Patrick McGoldrick is perhaps the person who has most influenced me in church ministry. He is someone I deeply respect and love, and from whom I have learned a great deal. I learned more from him in a six month internship than I did in four years of college. After a few months of strange symptoms, many doctor’s visits and tests, I need to share with you that I have recently been diagnosed with ALS or Lou Gehrig’s Disease. The doctors are 100% convinced that this is what I have. There is no cure for ALS. ALS is a serious neurological disease that causes muscle weakness and eventually leads to complete deterioration. The speed and path varies from person to person, but the average life expectancy is two years. Obviously, this is not what I had planned, nor what I would have ever dreamed would happen to me. But there is another side to the story. God is sovereign and in control. Isaiah 6 is a passage that I preached here many years ago and Bob preached it last month. I take that truth that “King Jesus” is seated on His throne as ruler and has authority of my life. He also will give us strength as we go through this journey. A song that has blessed my soul in this past week is written ultimately by God, through Job and passed down to Matt Redman. That song is “Blessed be the name of the Lord.” I want to live that out!! We love you so much and appreciate you so much. Our lives have been blessed because of you! Thank you for your prayers. "I am deeply troubled, LORD"
"I cannot control what others do, I can control whether or not I take it to God." 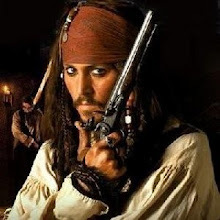 Captain Jack Sparrow held one of the Pirate Lord's eight pieces of nine. I just get a kick out of that term. Today, I give you five lists of three. What do you think? What would you add? What would you subtract? What would you change? What needs further clarity?